Lizards on the Mantel, Burros at the Door by Etta Koch with June Cooper Price. 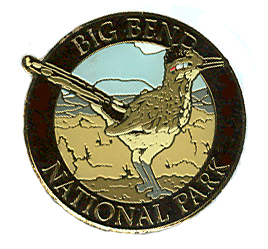 A woman who went West with her husband in the 1840s must have expected hardships and privation, but during the 1940s, when Etta Koch stopped off in Big Bend with her young family and a 23-foot travel trailer in tow, she anticipated no more than a civilized camping trip between her old home in Ohio and a new one in Arizona. 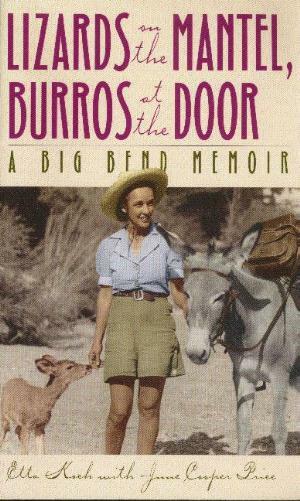 It was only when she found herself moving into an old rock house without plumbing or electricity in the new Big Bend National Park that Etta realized, "From the sheltered life of a city girl of moderate circumstances, I too would have to face the reality of frontier living." 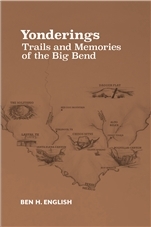 In this book based on her journals and letters, Etta Koch and her daughter June Cooper Price chronicle their family's first years (1944-1946) in the Big Bend. Etta describes how her photographer husband Peter Koch became captivated by the region as a place for natural history filmmaking-and how she and their three young daughters slowly adapted to a pioneer lifestyle during his months' long absences on the photo-lecture circuit. In vivid, often humorous anecdotes, she describes making the rock house into a home, getting to know the Park Service personnel and other neighbors, coping with the local wildlife, and, most of all, learning to love the rugged landscape and the hardy individuals who call it home. Now in her nineties, Etta Koch lives in Alpine, Texas. This is her first book. June Cooper Price is a freelance writer who lives in Mesa, Arizona. University of Texas Press. 6" x 9" softcover. 214 pp., 49 b&w illus. Second paperback printing 2005.